This is a topic that we have been discussing around the water cooler lately. And then this morning I found a blog entry which covered the same subject and I figured I would pile on. As architects we have to keep up with as much as possible. The means reading incessantly. With tomes that reach into the high hundreds of pages and articles and blogs spitting out new material daily this is a major challenge. This is doubly true for me since I never developed speed reading skills. I really like Garry’s suggestions. They aren’t anything new, but reminders always help. This is a subject I am just starting to understand. 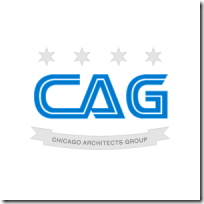 I talked with Dave Bost the other day at the February CAG meeting about Azure. This morning the subject came up again as I was listening to the Thirsty Developer podcast. These got me thinking about where does cloud computing fit in? As I understand it the difference between ASP model and Azure is that an ASP is hosting their application for you to use and what Azure offers hosting your application. Now this differs again from normal hosting companies since with Azure you are purchasing application resources instead of server resources. I believe that as a term “Cloud Computing” can actually cover all of these scenarios. Where I see this as an opportunity is for smaller companies who can’t afford a staff to manage a set of servers. I am sure that large companies will also leverage this technology, but proportionally this type of expense is a larger part of a small companies expenses. Spend your money on developing applications that allow you to run your business, not on maintaining a server farm and all that goes with it. Of course all this is just initial thoughts based on very little information. What I do think it deserves is a closer look. 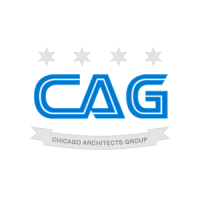 The Chicago Architects Group will be holding its next meeting on February 26th. Please come and join us and get involved in our architect community.